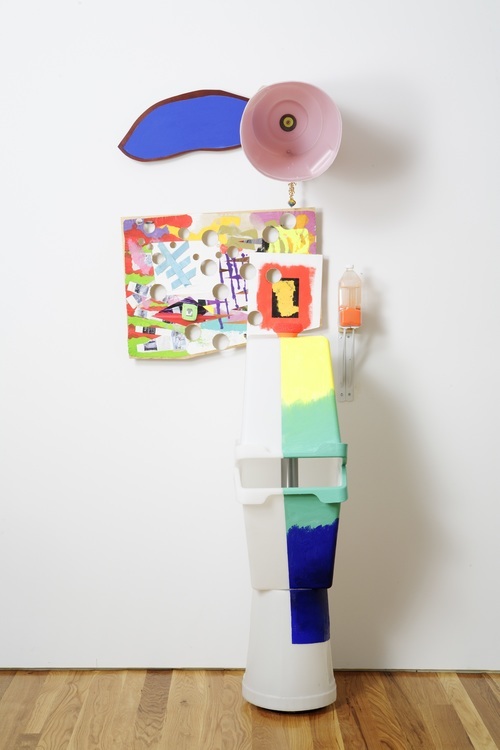 56 HENRY is delighted to present Stockholder, an exhibition of assemblage-based sculptures by Jessica Stockholder. 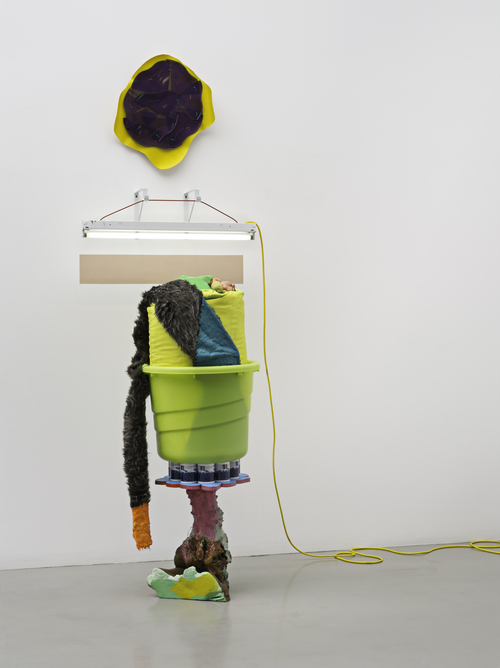 Comprised of three works made between 2006 and 2009, the exhibition will be on view from June 29 through August 7, 2016. 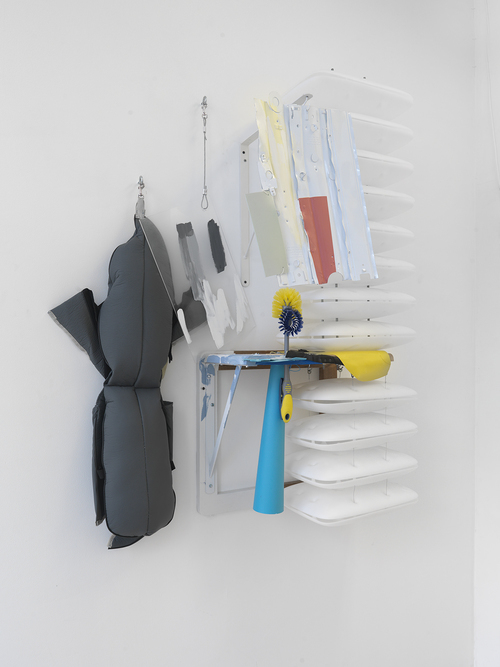 Widely regarded for her rigorous and playful formalism, Jessica Stockholder is known for her large-scale installations and architectural interventions that incorporate unexpected sculptural elements. 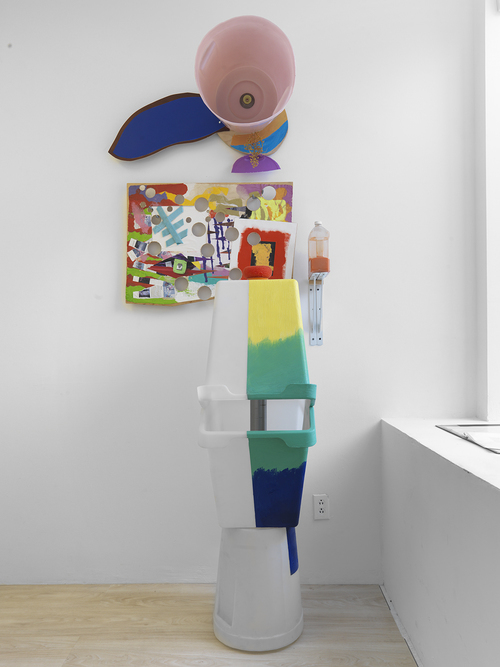 Working on a decidedly smaller scale for her installation at the gallery, Stockholder will present a set of three assemblages made from nontraditional materials in her signature Technicolor palette. 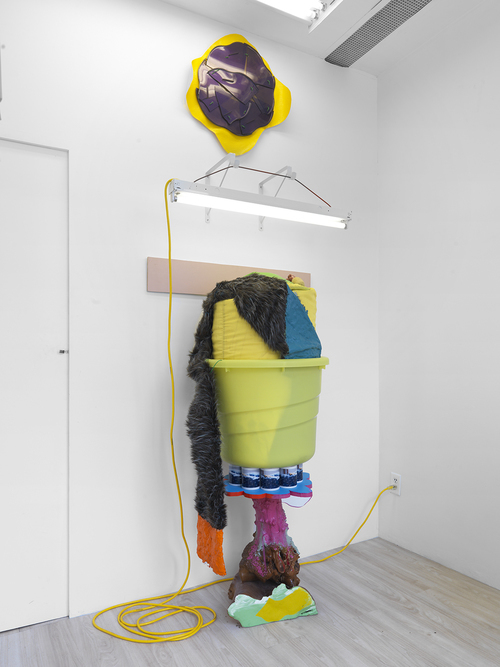 Two stacked totems of similar height stand in the main gallery space, composed of plastic buckets, painted lampshades, fake fur, and coffee mugs, among other bargain-bin items. 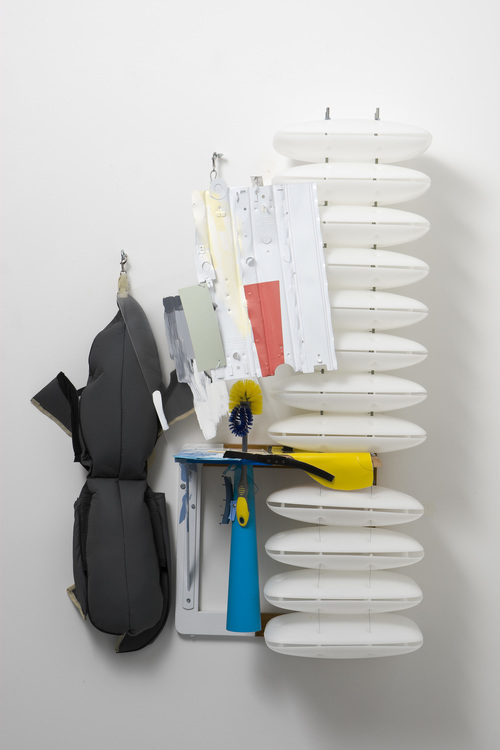 On an adjacent wall, a collection of curved plastic forms and dishwashing brushes sit on a wooden shelf, bound together with threaded rods and various pieces of industrial hardware. 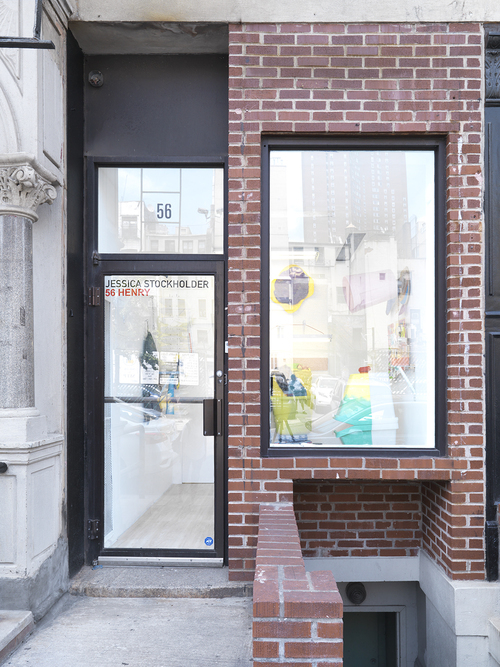 Exhibition at 56 HENRY are visible 24 hours a day. Gallery doors are open to the public on Tuesdays through Friday, 12:00 – 6:00 pm. 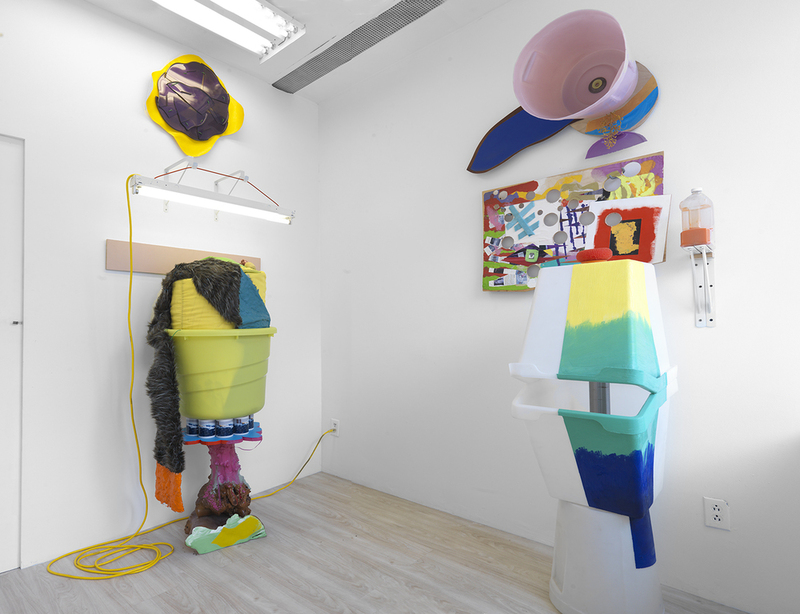 For information, please contact Ellie Rines at (646) 858-0800 or info@56henry.nyc.